Los Angeles Clippers shooting guard and reigning Sixth Man of the Year winner Jamal Crawford will debut his latest signature shoe tonight to kick off the season. Brandblack can fly under the radar especially with big box brands like Nike and adidas rolling out signature shoes, but these should not be overlooked. Last year, Jamal Crawford laced up his first signature shoe, the J Crossover, and it came with rather positive reviews. Brandblack is looking to build of the success from last year, as Crawford will debut the J Crossover II in the Clipper&apos;s game against the Thunder. Brandblack has been working on the shoes for the last two years, and they could have a real winner on their hands. The J Crossover II comes in a black and red color scheme, with mesh making up most of the upper for a lightweight, breathable feel. The heel area is supported by a posite type material that bolsters up the stability, which everyone knows Jamal needs with his quick cuts and crossovers. 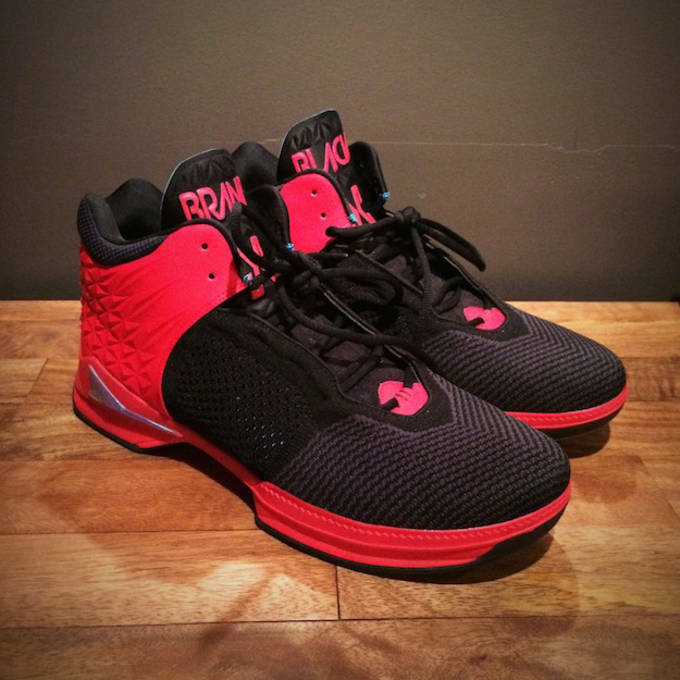 According to Brandblack, the J Crossover II is the "first-of-its-kind breathable, thermal plastic reinforced knit." Check out Jamal in the J Crossover II&apos;s tonight, and scoop up a pair when they drop February 2015.